Posted on March 25, 2019 at 3:27 pm. Posted on March 8, 2019 at 6:10 pm. Tildacerfont demonstrates potential to become the first approved therapy for congenital adrenal hyperplasia, a rare endocrine disorder. SAN FRANCISCO, March 8, 2019 /PRNewswire/ — Spruce Biosciences, a clinical-stage biotechnology company developing novel therapies for rare endocrine disorders, today announced that the abstract, titled “A Phase 2, Dose-Escalation, Safety and Efficacy Study of Tildacerfont (SPR001) for the Treatment of Patients with Classic Congenital Adrenal Hyperplasia,” has been selected for a late-breaking poster presentation at the 2019 Annual Meeting of the Endocrine Society (ENDO), the world’s largest event for endocrine science and medicine. CAH is a rare endocrine disease of impaired cortisol synthesis coupled with adrenal androgen excess. Although CAH is a part of the nationwide newborn screening program, there are currently no FDA-approved therapies for CAH. Details of Spruce’s ENDO presentation are below. Posted on July 18, 2018 at 3:42 am. San Francisco – July 17, 2018 – Spruce Biosciences, a clinical-stage biotechnology company developing novel therapies for rare endocrine disorders, today announced the appointment of David Moriarty, Ph.D., as Vice President of Development Operations. Spruce is currently enrolling patients in its SPR001 Phase 2 trial and has active sites in San Diego, CA, Orange, CA, Las Vegas, NV, Atlanta, GA, Indianapolis, IN, Minneapolis, MN, Philadelphia, PA and Melbourne, FL. Earlier this year, Spruce also launched its CAH Natural History Study to enable patients with CAH to contribute their experiences to advance knowledge of the disease, including its management and treatment. Unlike many other rare diseases, CAH is part of the newborn screening program and is highly identifiable. There are currently no FDA-approved therapies for CAH, which is caused by genetic mutations resulting in the inability to produce cortisol, the critical ‘stress’ hormone. The most common form of CAH, 21 hydroxylase deficiency, affects approximately 1 in 10,00 to 15,000 people in the United States. 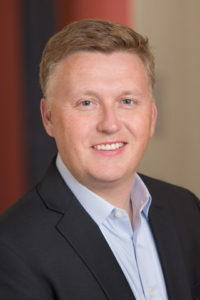 Prior to joining Spruce, Dr. Moriarty served as Vice President of Clinical Operations and Data Management at Jazz Pharmaceuticals, where he assembled a successful clinical operations, data management and strategic outsourcing team delivering multiple submissions in hematology/oncology and sleep medicine, leading to approvals for Defitelio and Vxyeos. Before Jazz, he was responsible for leading clinical operations in different Janssen Pharmaceutical Alzheimer’s Disease late development clinical programs over several years. Earlier at Janssen, formerly Tibotec Therapeutics, he held clinical operations roles leading to the approved HIV therapies of Prezista and Edurant. Dr. Moriarty also previously held positions of increasing responsibility at PPD, a global CRO, working primarily on the late development work of Humira for Abbott Pharmaceuticals. Dr. Moriarty earned a B.Sc. in Neuroscience from University of Central Lancashire and a Ph.D. in Neuroscience from the University of Manchester. Spruce is currently conducting a Phase 2 clinical trial to assess the safety and efficacy of SPR001 in adults with classic CAH. For more information on Spruce Biosciences and its lead clinical program for CAH, please visit sprucebiosciences.com. Spruce Biosciences is a clinical-stage biotechnology company developing novel therapies for rare endocrine disorders. The Spruce team is leveraging their extensive expertise in endocrinology and orphan drug development to meet the significant unmet need of patients suffering from rare endocrine diseases. Spruce’s lead product candidate, SPR001, has a novel and clinically verified mechanism of action (MOA) and is currently in Phase 2 clinical trials for congenital adrenal hyperplasia, a rare disease that is screened in newborns and for which there is not yet an FDA-approved therapy. The Company is headquartered in San Francisco and closed a Series A Financing of $20 million in 2016. For more information on Spruce, please visit sprucebiosciences.com.